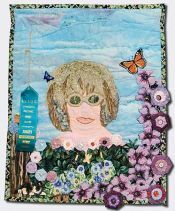 Beth Pile is a Midwestern girl who has lived on Long Island for the past 24 years. She was born in Lawrence, Kansas. 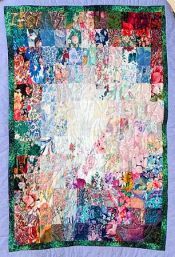 The women in her family were seamstresses, quilters, and needle workers. 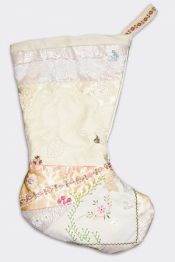 She was taught embroidery at 8 years old by her maternal grandmother. 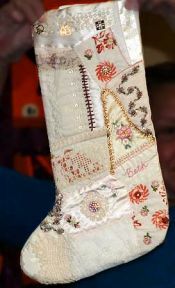 However, she did not learn to sew until she took a sewing class when a senior in high school. 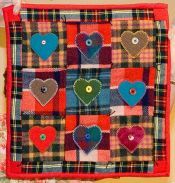 Beth has always loved textiles. 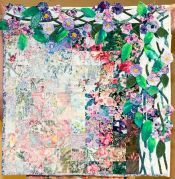 She began college as an Art Major. When she returned to finish college 15 years later, she earned a degree in Recreation Therapy. 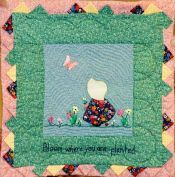 Along the way she learned to make quilts and weave on looms. She used these skills in her 15-year career as a Recreation Therapist in hospitals. 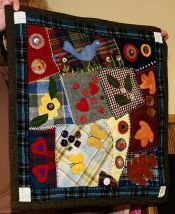 She has made woven items and quilts for over 30 years for her children, friends and family. She also has sold items for profit. 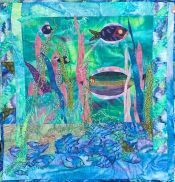 Beth joined Empire Quilters in 1999 when her daughter entered college at the School of Visual Arts in New York City. She liked Empire so much she got involved. She has been Sunshine/NQA chairman and developed a Welcoming Committee. 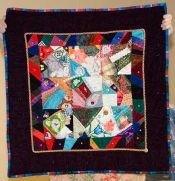 She organized a lovely friendship quilt project in 2004 as a fundraiser. 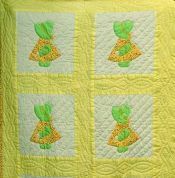 Her favorite type of quilting is crazy quilting. You will usually spot Beth as you come into the meetings. She is there with her friendly greeting and welcoming smile. 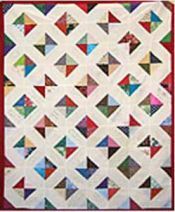 Empire Quilters has benefited greatly from Beth's warmhearted presence and generous enthusiasm. 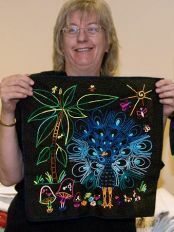 We are delighted that she is this month's Quilter of the Month.